How’s your courier software working out for you? Obviously, if your software is slow or it crashes constantly, it’s time for a change. But even if it works fine, it might be missing valuable features that other programs have. Switching over to better courier software will have an instant impact on your business. You’ll be able to make your employees more efficient and improve customer satisfaction. Does It Have GPS Tracking? The absolute, number one, must-have feature of courier software is GPS tracking. GPS tracking lets you see what your drivers are doing in real-time. Drivers are almost always unsupervised. They might be stopping for snacks or even running personal errands while they’re on the clock. You can’t physical see them, so how do you know? GPS tracking is how. It shows you exactly where your drivers are and how fast they’re going. Whenever you want, you can check in on a driver and make sure they’re sticking to their route and staying on schedule. Also, GPS tracking will help you quickly adapt to change. If a driver runs into an unexpected obstacle, like a traffic jam, GPS tracking allows you to quickly reroute the driver so that they can still make it to the customer on time. This is helpful for when a customer asks you to make a delivery to a different address at the last minute as well. 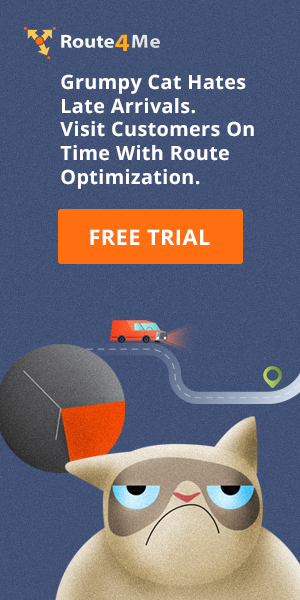 How Much Time Is Your Route Planning Software Saving You? Running a business is stressful, time-consuming work. There’s never enough time to do everything perfectly. Your software should be making your life easier. The right program can automate tasks that would take a long time to do manually. For example, planning routes with pen and paper can take hours. In addition to figuring out which roads your drivers need to take to get to your customers, you also need to account for traffic, construction, weather, customer availability, and other factors. Some route planners also have a plugin that lets you connect to an eCommerce platform, such as Shopify or WooCommerce. That way, you can automate the process of transferring customer data from your eCommerce platform to your route mapping software, which will save time and eliminate the risk of data entry errors. Does Your Software Help You Stand Out From The Competition? The internet and the forces of globalization have burdened businesses with more competition than ever before. To attract new customers to your business, you need to offer something that sets you apart. Route scheduling software can do more for you than just plan routes. It can improve customer satisfaction, too. That’s why you should make sure the route planning program you invest in has a geofencing feature. You can set up geofencing so that your customers automatically receive a text message when your driver is about to arrive. They’ll appreciate the notice. This is also why GPS tracking is important. Customers like being able to see exactly where their package is while they wait for it to arrive. GPS tracking allows them to do exactly that. Is It On-Premises Or Cloud-Based? On-premises route planning software used to make sense for businesses, but with the rise of the cloud, it doesn’t anymore. Cloud-based same day delivery software makes it easier to communicate with your drivers. Any change you make to a route on your office computer will be automatically shared with your driver on their mobile device. So if you need to make a last-minute change to a route after your driver has already left the depot, you can relay that change to your driver without distracting them with a phone call. Another benefit is that cloud-based courier software is usually pay-per-use. It doesn’t come with long-term, difficult-to-break contracts. You’re only on the hook for a software licensing fee and some data costs. 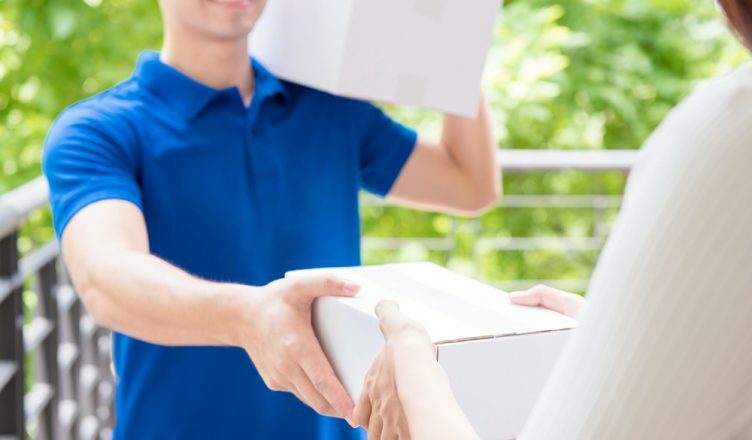 On-premises courier software is a much bigger (and costlier) commitment. One last thing: cloud-based software is scalable. You’re accessing someone else’s servers, so if your business grows and your software needs require more server space, you can get that with just the touch of a button. With on-premises software, you’d need to invest in more IT infrastructure yourself in order to accommodate growth. That could set you back thousands of dollars. 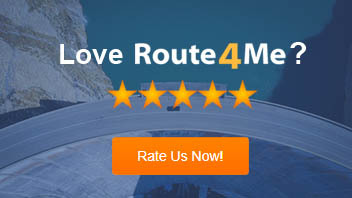 So, is your route planner really the best you can do? Or is it time to make a change? Let us know in the comments section below.